Pandit Deendayal Petroleum University’s campus is located in Gandhinagar (the capital city of Gujarat) and located 23 Km North from Ahmedabad. PDPU offers multiple courses ranging from engineering, arts and management along with maximum exposure and opportunities to its students through various national and International exchange programs with best University worldwide. For the development of its faculties and staff the University endeavours for various Joint Exchange and Research programs. The Applications form for B.Tech admissions 2019 in the Pandit Deendayal Petroleum University is available now, students can apply from the direct link which is provided below. You can also visit the official website at www.pdpu.ac.in to apply before the last date. A candidate who has secured a rank in JEE (Main) 2019 Paper I, and a candidate who has passed the Qualifying Examination with minimum 45% marks for General and 40% for SC / ST with compulsory subjects-Physics, and Mathematics (with Chemistry or Biology or Computer or Vocational Subject) from single board are eligible to apply for the B.Tech admission in PDPU 2019. Interested candidates can check the information regarding the PDPU B.Tech Admission 2019 from this article. Schedule for PDPU B.Tech Admission 2019 is given below. Availability of Application Form Started! 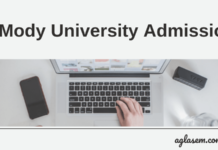 Application form for PDPU B.Tech Admission 2019 has been released by the university on its official website, direct link to apply online has been provided here below, candidates need to check the eligibility criteria before applying. The applications received before the last date to apply will be counted as eligible for the further admission process for B.Tech admission in PDPU. Application Form: Click here to apply online for B.Tech admissions in PDPU. Caste certificate for a candidate belonging to Scheduled Castes (SC) and Scheduled Tribes (ST) issued by the authority empowered by the State Government in this behalf (If applicable). Certificate of Physical Disability, issued and duly signed by the Civil Surgeon/ competent Medical Authority, in case the candidate belongs to a PH Category (If applicable). Latest passport size photograph of the candidate. For All India Seat candidate and/or as NRI Sponsored candidate: A candidate should have secured a rank in Paper – 1 of JEE (Main) 2019 and candidate should have passed the Qualifying Examination with minimum 45% marks(40% in case of SC / ST) in aggregate in theory and practical of Physics, Chemistry, and Mathematics (with Chemistry or Biology or Computer or Vocational Subject) from single board. AP tests at A-levels in Physics, Mathematics & Chemistry. In case, Letter Grade / Performance Index or Graded Point Average is awarded instead of percentage marks in qualifying examination, the equivalence certificate is required from the school authority. Such candidate will have to produce equivalence certificate of qualifying examination from Association of Indian Universities (AIU), New Delhi. The University shall prepare the merit list of the eligible candidates who have applied for admission under these rules. The candidates will have to check their inter-se merit number through the Login ID & password provided at the time of application on the University website. The provisional admission shall be offered through online mode as per the schedule. Offer of admission shall be made on the basis of merit, category of the candidate and availability of the seats. The candidate can freeze the admission for a branch offered to him upon payment of the fees as prescribed, subsequent to which such candidate will not be eligible for an offer of admission in any other branch. 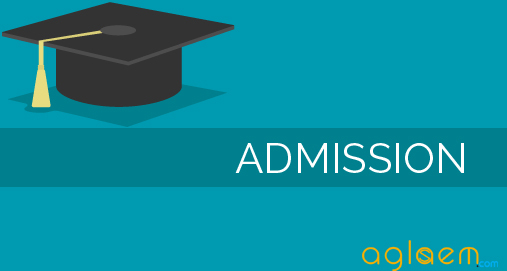 A candidate if offered provisional admission in a branch as per his preference but not accepted it; he can be considered for subsequent relevant rounds of admission, only for the branch/es of his higher preference/s, if any. The provisional admission will be confirmed only after verification of the original documents, personal and academic credentials of the candidates viz. identity, age, academic qualifications and reservation category as per the schedule to be announced on the website. 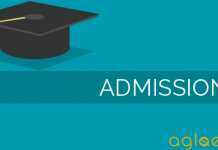 It shall not be obligatory to give admission to a candidate if he fails to secure the admission online as prescribed. No changes in branch-preference shall be possible after the last date of submission of online application. Note: The University reserves rights to hold admission process also through calling the candidates in merit On Campus. 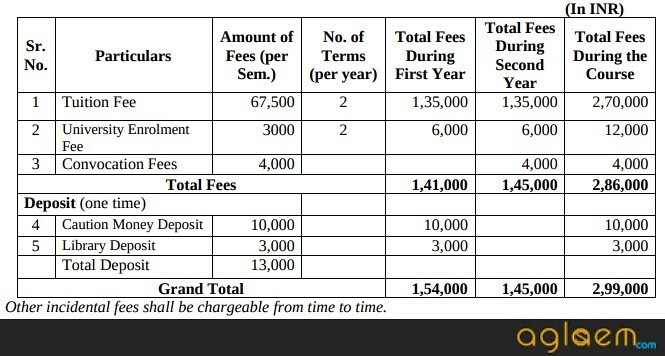 Below we mentioned the fee structure of the PDPU B.Tech Admission 2019. For any query regarding the PDPU B.Tech Admission 2019, please comment in the box below. PDPU SLS 2019- Pandit Deendayal Petroleum University School of Liberal Studies established in 2009 offers various undergraduate programmes like Communication Skills, Basic Sciences, Social Sciences, Management, Humanities, Foreign Languages and Performing Arts. SLS also offers Master of Arts in Public Administration, International Relations and English Literature as well as PhD in all the Majors offered. Below we mentioned the schedule of PDPU SLS 2019 for the various undergraduate programmes. There is a common form for all the programs like BA/BBA (Hons), B. Com (Hons) and B. Sc (Honors). Total seats to be filled are 460. The list of the courses offered and the number of seats is given below. The Candidate will be required to pick their subject. Every eligible candidate has to apply Online through the University website or through the direct link given below. Click here to apply for SLS courses available in PDPU. The Admission procedure for the SLS courses in PDPU is open now. There are 460 seats for the undergraduate programmes in the School of Liberal Studies. Following is the list of the courses and the number of seats. (1) B.B.A. (Hons.)/B.A. (Hons.) is required to have passed 12th standard examination or equivalent from any discipline. General Certificate Education (GCE) Examination (London/Cambridge/Sri Lanka) at the Advanced (A) level with minimum passes of 2/3 subjects. International Baccalaureate Diploma Program with the minimum passes of 6 subjects (3HL and 3SL) with 24 points. The essay can be written in English, Hindi or Gujarati; as well as in prose or in poetry. The candidates must bring all certificates for achievements in co-curricular and sports at the time of the Interview. The candidates who have passed their 12th standard from any schools outside India but are Indian citizens/Indian passport holder are also required to appear for all components of the entrance exam. Note: All Candidates are requested to visit the official website on regular basis for the latest updates regarding the test centres and other details. Test centres are subject to change at the discretion of the university. The interview may be conducted on next days after the entrance test, depending on the number of applicants at respective centres. i) Written Test and Personal Interview – The candidate has to appear for both – the Written Test and Personal Interview. The Merit for admissions will be based on the total marks obtained in the entrance exam. The candidate has to appear for all the three sections – Written Test: comprising of Aptitude test + creative writing, and Personal Interview to qualify for the Merit List. 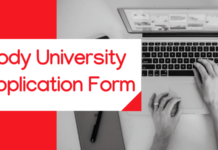 For more information about the PDPU SLS Admission 2019, Download following Documents. The flagship two-year full-time residential programme leading to Masters in Business Administration (MBA) is organized on the basis of three terms in a year. The programme is focused on energy sector with emphasis on Oil &Gas sector. Accordingly, the entire curriculum is designed to meet the requirement of the particular sector. PDPU offers M.Tech courses in Petroleum Engineering, Nuclear Engineering, Energy Systems & Technology (Focused on Solar Energy), Electrical Engg. (Power Systems), Mechanical Engg. (Thermal), Civil Engg. (Infrastructure Engg. & Management), Chemical Engg., Environmental Engg. & Studies. Schedule of PDPU M.Tech Admission 2019 is given below. Min. 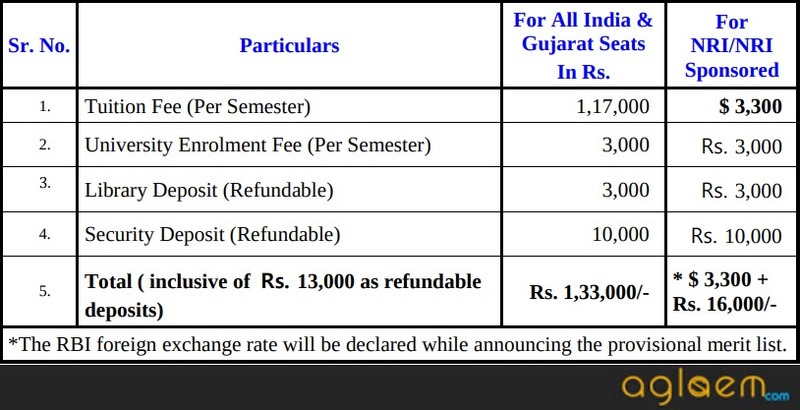 60% or CPI/CGPA of 6.5 in 10 point scale in the qualifying degree in respective discipline as mentioned hereunder. 1. The candidates expecting their qualifying degree results as per the eligibility criteria by 31st August 2019 can also apply. M. Tech. (Petroleum Engineering): B.E. /B. Tech. in Petroleum Engineering/Hydrocarbon Refinery Engineering/Petrochemical Engineering/Mechanical Engineering/Chemical Engineering. Any one of these qualifications is required to be with minimum 60% or CPI/CGPA of 6.5 on a 10 point scale. Petroleum Technology (Exploration): B.E. /B. Tech. in Petroleum Engg. )(Upstream)/ M.Sc. or M.Sc. (Tech) in Exploration Geology/ Geoscience/ Geotech. Engg./ Applied Geology/ Applied Geophysics/ Earth Science/ Exploration Geophysics. Any one of these qualifications is required to be with minimum 60% or CPI/CGPA of 6.5 on a 10 point scale. Nuclear Science and Technology: B.E. /B. Tech. or equivalent in any discipline including Agriculture engineering, Food technology, Environmental engineering, Nano Technology, Mechanical/Electrical/Electronics/ Instrumentation & Control/Chemical / Civil / Metallurgical / Production/Industrial Engineering/ Automobile or equivalent or M.Sc. in any discipline including Agriculture science, Chemistry, Food Technology, Electronics/Physics/Nuclear Physics or equivalent with minimum 60% or CPI/CGPA of 6.5 on a 10 point scale. Energy Systems (Focused on Solar Energy): B.E. /B. Tech. or equivalent in Electronics/ Electrical/ Instrumentation & Control/Mech./ Semiconductor Technology/ Energy Science & Engg. OR M. Sc. or equivalent degree in Physics/Applied Physics/ Electronics/ Optoelectronics; with minimum 60% or CPI/CGPA of 6.5 on a 10 point scale. Electrical Engg. (Power Systems): B.E. /B. Tech. in Electrical Engineering/Electrical and Electronics (Power System)/Electrical and Electronics Engineering/Electrical and Instrumentation Engineering/Electrical and Power Engineering/ Electrical Engineering (Electronics and Power)/Electrical, Electronics and Power, with minimum 60% or CPI/CGPA of 6.5 on a 10 point scale. Mechanical Engg. (Thermal): B.E./B.Tech. or equivalent in Mechanical / Energy Science & Engg. with minimum 60% or CPI/CGPA of 6.5 on a 10 point scale. Mechanical Engg. (Design): B.E./B.Tech. or equivalent in Mechanical Engg. with minimum 60% or CPI/CGPA of 6.5 on a 10 point scale. Civil Engg. (Infrastructure Engg. & Management): B.E./B.Tech. or equivalent in Civil Engg. /Environmental Engg. / Construction Technology /Planning/ Architecture & Planning or B. Arch with minimum 60% or CPI/CGPA of 6.5 on a 10 point scale. Civil Engineering (Transportation Engineering): B.E./B. Tech in Civil Engineering (CE) or Degree in Urban Transport Planning and Management/ Urban Planning/ Urban and Regional Planning/ Infrastructure Planning with 6.5/10 OR 60% as per university norms. Chemical Engg. : B.E./ B.Tech. or equivalent in Chemical Engineering / Chemical Technology / Biochemical Engineering / Petrochemical and Petroleum Refinery Engineering/ Petrochemical Engineering / Petrochemical Technology / Petroleum Engineering / Petroleum Technology with minimum 60% or CPI/CGPA of 6.5 on a 10 point scale. PANDIT DEENDAYAL PETROLEUM UNIVERSITY M. Tech. Environmental Engg. : B.E. /B. Tech. or equivalent in Civil Engg./Chem. Engg./Environmental Engg. or M. Sc. in Environmental science with minimum 60% or CPI/CGPA of 6.5 on a 10 point scale. Marks out of 100 GATE score card. 70% weightage of performance score obtained in Personal Interview by the candidate. 50% weightage of GATE score (applicable to GATE qualified candidates). Provisional Merit list for M.Tech. Admissions 2019 Phase I will be announced by Pandit Deendayal Petroleum University’s campus. Phase I Admission Process will only be for candidates having Qualified and valid GATE score. Merit list will be uploaded on the official websiteas well as direct link to merit list will be provided below as soon as it releases. For information regarding PDPU M.Tech Admission 2019, Download Information Brochure. PDPU Offers PhD in various fields of Engineering. Science and Technology, Management and Liberal Studies. Regarding specialization details refer website of University and constituent schools. There will be a Research Aptitude Test (RAT) common for all the eligible candidates, followed by a Discipline wise proficiency-evaluation which may be in the form of oral &/or written test/s as to be determined by the concerned School for the research area in its purview. While appearing at the selection procedure, the candidate is required to produce a set of all the relevant original testimonials in support of the application. The candidate shall have to ensure all fulfillments to the eligibility requirements while applying for admission. A student seeking an admission to Ph.D. Programme of the University is required to have minimum educational qualification as mentioned hereunder. Each of the Master Degrees referred therein is to be on the basis of two year full time programme. For research in an area of Engg./Technology – M.Tech./M.E. or its equivalent as recognized by AIU in appropriate area. For research in an interdisciplinary areas like Petroleum Engg., Solar Engg., Nuclear Engg.and Environmental study – M.Tech./M.E./M.Sc./M.Sc.(Tech.) or its equivalent as recognized by AIU in appropriate area. For research in an area of Sciences – M.Sc. degree or its equivalent as recognized by AIU in appropriate area. For research in an area of Management – M.B.A./M.Tech./M.E./A.C.A./A.I.C.W.A./A.C.S. level or its equivalent as recognized by AIU in the appropriate area. Insofar, Information brochure of SLS UG, B.Tech and M.Tech courses are available now. Rest of Information on this page is based on last year information brochure and for reference purpose only. As soon as PDPU will release the information it will be updated here.